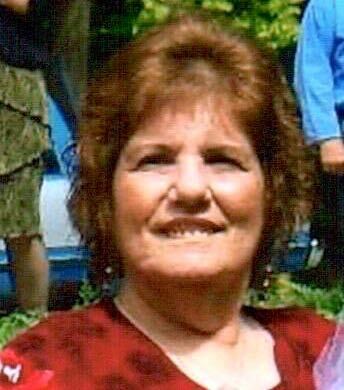 Obituary for Rebecca A. Kellison | Brewer Funeral Home, Inc.
Rebecca A. Kellison, 60, passed away Friday afternoon, February 8, 2019 and entered into eternal life at Saratoga Hospital following a brave battle of various illnesses. Becky was barn on October 15, 1958 in Massena to Edward and Jean Kellison who relocated to Lake Luzerne where they remained. Becky married William James, Jr. on July 4, 1978 and together they worked at their business, BB’s Pizza of Ballston Spa for several years. Becky also worked at her own lawn service before she retired. She attended Corinth Free Methodist Church where she enjoyed sharing her faith. Her hobbies included crocheting, baking and reading her Bible.She was predeceased by her parents; her spouse; and a grandson, Gavin as well as two dogs. Survivors include her daughters: Tristan (Walter) Kathan, Nicole James; her brother, Gary (Cindy) Kellison; several grandsons and a nephew. Friends may call Thursday from 10:30 – 11:30 a.m. at the Brewer Funeral Home, Inc., 24 Church St., Lake Luzerne. Funeral services will be conducted 11:30 Thursday at the funeral home immediately following the visitation. A reception will follow the service at the Corinth Free Methodist Church. Becky’s family would like to express a special thanks to Saratoga Hospital staff, Dr. Delgiacco and Dr. Ying.